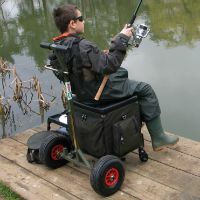 Do you need a new fishing tackle box? As you should already know, tackle boxes are essential for keeping all of your tackle nicely stored and neatly organized. And personally, I would rather be spending my fishing trips having a blast out on the water trying to catch fish, rather than dealing with the frustration of searching for misplaced, tangled and unorganized equipment. The most efficient way to help ensure that I'll be having fun is by being certain that I'll be stress free – clean and organized. How about you? One of the easiest solutions for an easy going fishing trip is by being organized. And that starts with your fishing gear. I wouldn't want to waste my time fumbling through a crate full of tangled lures, hooks, lines and other miscellaneous tackle. Who does, right? 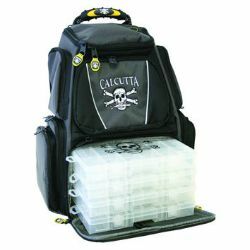 There are many saltwater and fresh water tackle boxes, fishing tackle bags, fishing tackle backpacks, vests and fanny pack pouches to choose from, as there are quite a few brands and various sizes to select from as well. * indicates to see image/link below for more information about the product and where to possibly find the best deals. 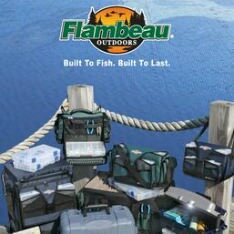 They have a wide assortment of storage solutions to fit all of your freshwater fishing tackle needs. 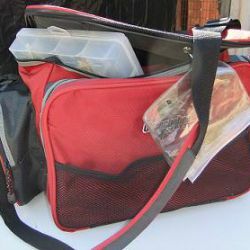 They have small tackle boxes for carrying just a few essentials, and they have much larger tackle boxes to carry enough tackle that might be more than you would ever need. 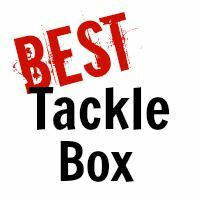 But, which brand is THE best tackle box to own? Be sure to vote for your favorite. A tackle box is just a tackle box, right?... just a box to toss your fishing gear into and be on your merry little way? Wrong. They are much more than just a box to carry around your tackle. Well, at least high quality tackle boxes. 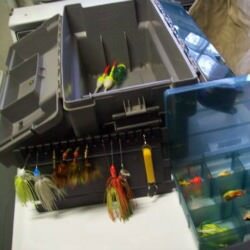 People often overlook some obvious qualities when shopping for new or used tackle boxes. They might look fascinating to you sitting there on the store shelf, but simple, yet important, things like the durability of the box can easily escape your thoughts. 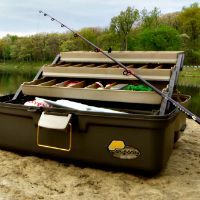 My guide for selecting fishing tackle boxes. As simple as it may sound, some fishermen seem to have a difficult time figuring out the best way to organize their tackle boxes. You would think it should be simple, when in fact it's really not for a lot of folks, especially those that are new to fishing.